Diego Duran was one of the earliest European writers on the culture and history of the inhabitants of the New World. Not only does he offer some first hand evidence of giants but he also captures some of the ancient stories of giants passed down by the Aztecs from when they first moved into the area that became their homeland. When the new nations came, these savage people showed no resistance or anger, but rather awe. They fled towards the hills, hiding themselves there.... The newly arrived people seeing, then, that the land was left unoccupied, chose at will the best places to live in. "The other people who were found in Tlaxcala and Cholula and Huexotzinco are said to have been 'Giants.' These were enraged at the coming of the invaders and tried to defend their land. I do not have a very true account of this, and therefore will not attempt to tell the story that the natives told me even though it was long and worth hearing, of the battles that the Cholultecs fought with the Giants until they killed them or drove them from the country. "These Giants lived no less bestially than the Chichimecs, as they had abominable customs and ate raw meat from the hunt. In certain places of that region enormous bones of the Giants have been found, which I myself have seen dug up at the foot of cliffs many times. These Giants flung themselves from precipices while fleeing from the Cholultecs and were killed. The Cholultecs had been extremely cruel to the Giants, harassing them, pursuing them from hill to hill, from valley to valley, until they were destroyed. "Even if we detain the reader a little, I should like to tell the manner in which the people of Cholula and Tlaxcala annihilated that evil nation. This was done by treason and deceit. They pretended to want peace with the Giants, and after having assured them of their good will they invited them to a great banquet. An ambush was then prepared. Some men slyly robbed the guests of their shields, clubs, and swords. The Cholultecs then appeared and attacked. The Giants tried to defend themselves, and, as they could not find their weapons, it is said that they tore branches from the trees with the same ease as one cuts a turnip, and in this way defended themselves valiantly. But finally all were killed." We had been two whole months in this harbor without sighting anyone when one day (quite without warning) we saw on the shore a huge giant, who was naked, and who danced, leaped and sang, all the while throwing sand and dust on his head. Our Captain ordered one of the crew to walk towards him, telling this man also to dance, leap and sing as a sign of friendship. This he did, and led the giant to a place by the shore where the Captain was waiting. And when the giant saw us, he marveled and was afraid, and pointed to the sky believing we came from heaven. He was so tall that even the largest of us came only to midway between his waist and his shoulder; yet withall he was well proportioned. He had a large face, painted round with red; his eyes were ringed with yellow and in the middle of his cheeks were painted two hearts. 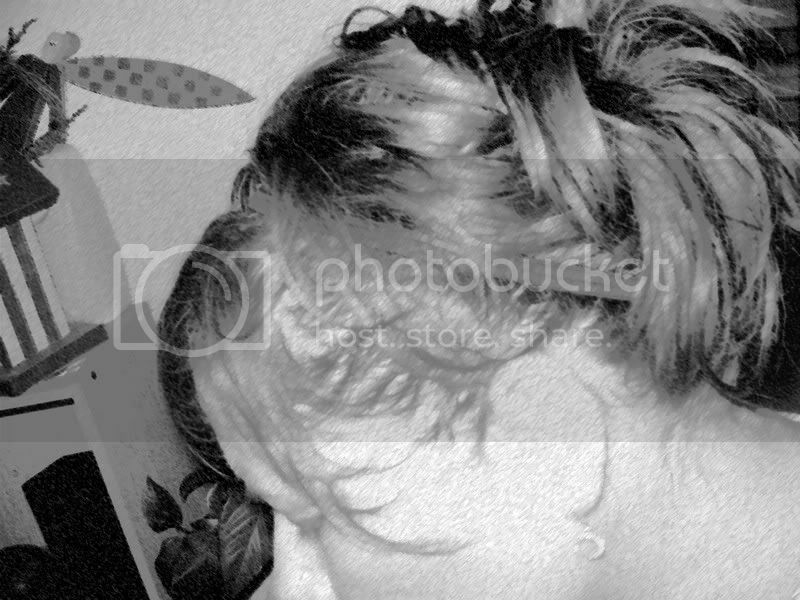 He had hardly any hair on his head, what little he had being painted white. A tribe of supposed giants managed to survive in the 19th Century if some reports are to be believed. The Karankawa tribe lived on the south western Gulf coast of Texas. Their accepted history alone is fascinating (and somewhat tragic, as is the way with much of the later history of the native Americans) and a very well written article on them can be found here. Some reports have said they were extremely tall, usually between 6 and 7 foot high. Similar heights however are reported for many native tribes, and I suspect this may be where a lot of the reports stem from. We must remember that the European explorers and settlers were of a short stature. Even today being 6'0" is still considered tall, and I've been to many houses showing that even in Victorian times British folk were remarkably small. These white pygmies must have been shocked to encounter the strapping, well built and healthy (until they met the invaders anyway) natives and probably awestruck by their comparatively large size. They may well have appeared like giants to them. But what about those bones? * A decayed human skeleton claimed by eyewitnesses to measure around 3.28 metres (10 feet 9 inches tall), was unearthed by labourers while ploughing a vineyard in November 1856 in Wheeling, West Virginia. * A human skeleton measuring 3.6 metres (12 feet) tall was unearthed at Lompock Rancho, California, in 1833 by soldiers digging in a pit for a powder magazine. The specimen had a double row of teeth and was surrounded by numerous stone axes, carved shells and porphyry blocks with abstruse symbols associated with it. * Several mummified remains of humans with reddish hair claimed to range from 2-2.5 metres (6.5 feet to over 8 feet) tall were dug up at Lovelock Cave, (70 miles) north-east of Reno, Nevada, by a guano mining operation. These bones supposedly substantiated claims for legends by the local Paiute Indians regarding giants which they called Si-Te-Cah. However, there appear to be no verified Paiute legends about giants or that call the Si-Te-Cah giants (Fossil Legends of the First Americans (Princeton University Press 2005) — ISBN 0-691-11345-9). Fortunately one of the giant Lovelock skulls is still preserved today. It measures almost 30cm (1 foot) tall and resides along with other various Lovelock artefacts in the Humboldt Museum in Winnemucca, Nevada. Some of these artifacts can also be found in the Nevada State Historical Society's museum at Reno. Adrienne Mayor states that these skeletons are normal sized. (Fossil Legends of the First Americans (Princeton University Press 2005) — ISBN 0-691-11345-9) She also points out that hair pigment does not stay stable after death, and that ancient very dark hair can turn rusty red or orange due to a variety of conditions such as soil condition, temperature, etc. * A 9' 11" (3.02 meters) skeleton was unearthed in 1928 by a farmer digging a pit to bury trash in Tensas Parish, Louisiana near Waterproof, Louisiana. In 1931 a 10' 2" (3.1 meters) skeleton was unearthed by a boy burying his dog in 1933 in nearby Madison Parish, Louisiana. * A 9' 8" (2.95 meters) skeleton was excavated from a mound near Brewersville, Indiana in 1879 (Indianapolis News, November 10, 1975). * A mound near Toledo, Ohio, held 20 skeletons, seated and facing east with jaws and teeth "twice as large as those of present day people", and beside each was a large bowl with "curiously wrought hieroglyphic figures." (Chicago Record, October 24, 1895; cited by Ron G. Dobbins, New England Antiquities Research Association Journal, v13, fall 1978). So what happened to all these skeletons? Some believe in a conspiracy, which this site goes into in great depth and calls "The Smithsonian Cover Up"
This site claims to have some photographic evidence of large Incan giants. It also has a lot of further resources on the stories of giants. But it still leaves me feeling all this is rather convenient... evidence found, evidence lost. That's the sort of thing that started the Church of Jesus Christ of Latter-day Saints. But it's not good science. 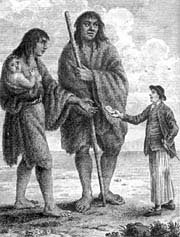 I love the stories of giants in America because they remind us just what it must have been like to encounter strange people, unlike anyone met before by Europeans. It reminds us too of a time when cultures quite different to our own flourished. That strangeness and otherworldliness could not but influence some of these gigantic stories among those explorers. And that these stories were only backed up by more diminutive natives fabulous myths of giants in their past must only have increased the "truth" some found in these supposed encounters with giants. Alas I think the giants of the Americas were more the result of over active imaginations, embellishments and fantasy. Forbidden land, 1614-1895 (His Strange events in the Black Forest) - Robert Ray Lyman. This book explores the tales of modern bones being found. Some of the consistencies in these reports are extremely interesting. For instance two different sets of bones mentioned contained two rows of teeth. Consistency in itself can be some good evidence that these were indeed real giants. However, like you mentioned it's evidence that has been found then conveniently lost. So in the end no one really knows the truth. there is a family of giants around me, in medina ohio. well, descendents. There is a giant festival every year! I would certainly have appreciated it if Diego Duran was a bit more kind in his description of my Chichimec ancestors.